To get through to your audience and reinforce your branding you need to touch them on multiple fronts so you stay “top of mind.” While online marketing has to be a key component in today’s marketplace, marketing materials (aka marketing collateral materials) are necessary to promote your company’s products and services in the offline world. 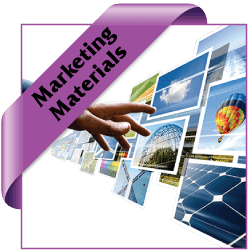 Marketing materials go beyond the traditional tri-fold brochures and postcards. When used properly, your marketing materials help you: introduce new products, promote new services, introduce loyalty programs, and more. Gonzo Strategies doesn’t just create your marketing materials, we help you come up with a plan to use marketing materials effectively and get the most out of them.